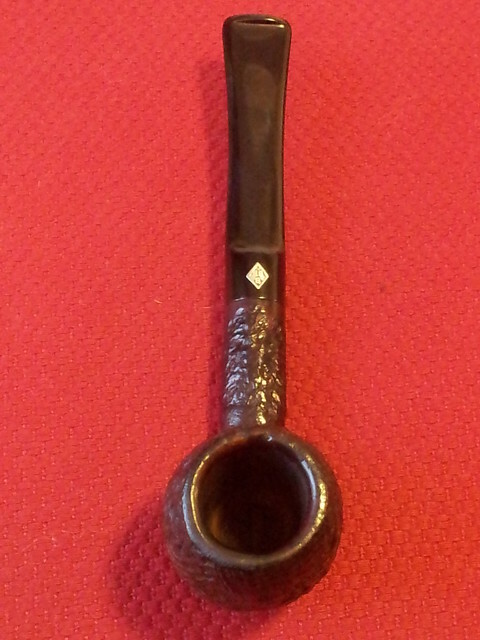 I purchased this little BBB 2-Star pipe on eBay quite a while ago, but was busy with other things when it arrived. 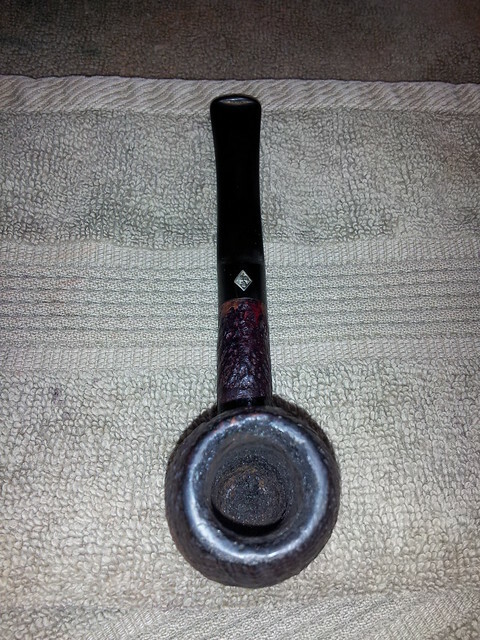 I put it in my box of pipes to refurbish and forgot totally about it until it surfaced today. It looked like a quick cleanup so I pulled it out and gave it a closer inspection. 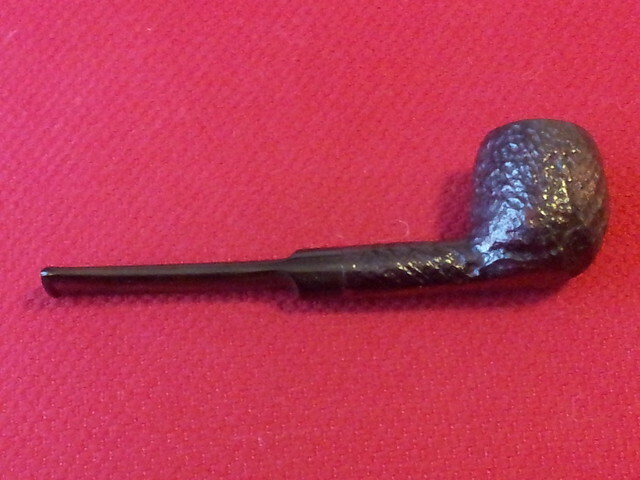 It’s a smaller Apple shaped pipe – barely 5-1/4” long, with a short, small chamber – perhaps a Dunhill Group 2 size? Everything, however, is proportional. 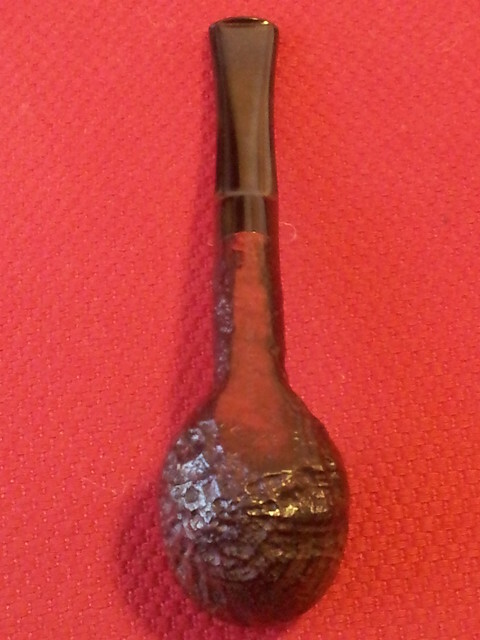 I think it’s quite a sharp looking little pipe that, with its saddle stem, promises to be an easy clencher for shorter smokes while working on a project. 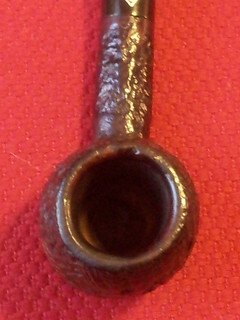 It arrived in rather good condition for an estate pipe, with signs of regular careful use – the chamber was fairly caked up and the rim needed a cleaning. 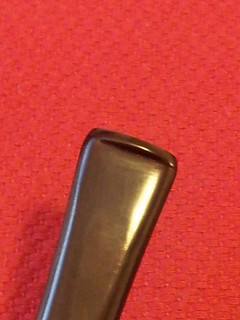 The acrylic bit, of course, had no oxidation and only the faintest signs of use. All in, a good ream and clean would put this BBB back in action. 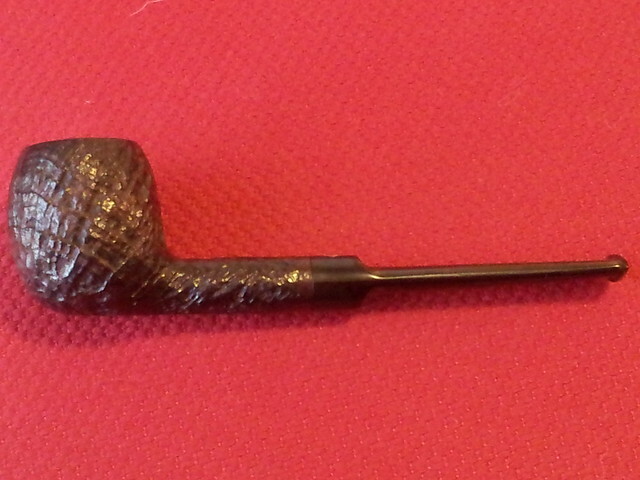 I used the smallest head on my Castleford reamer to clear the cake from the tobacco chamber. I would have moved up to the next size head, but it wouldn’t fit in the bowl. 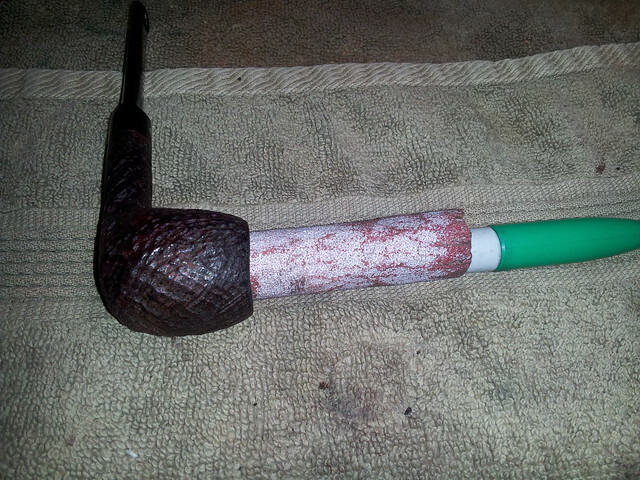 I finished up the reaming with 100-grit sandpaper wrapped around a Sharpie pen. 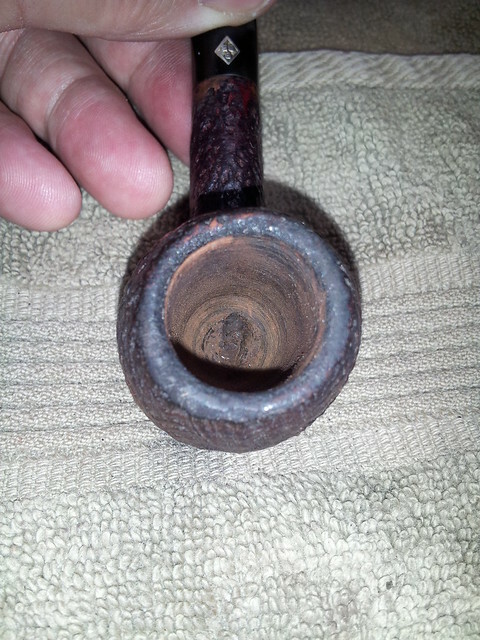 I scrubbed the sandblasted stummel with Murphy’s Oil Soap and an old toothbrush to clean the dirt and debris from the finish. 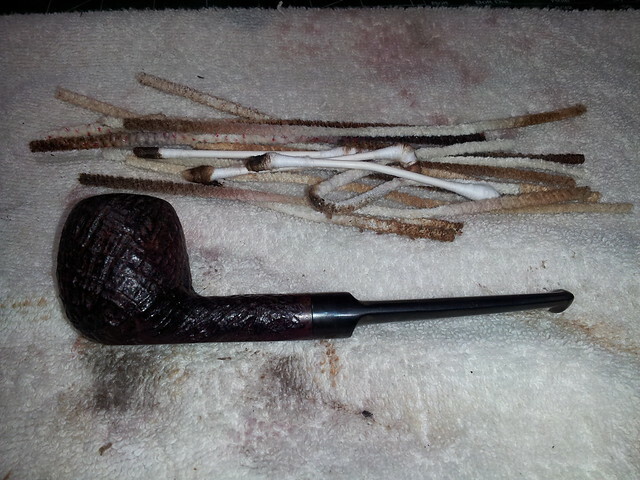 Murphy’s also removes any wax or oil from the surface of the briar. 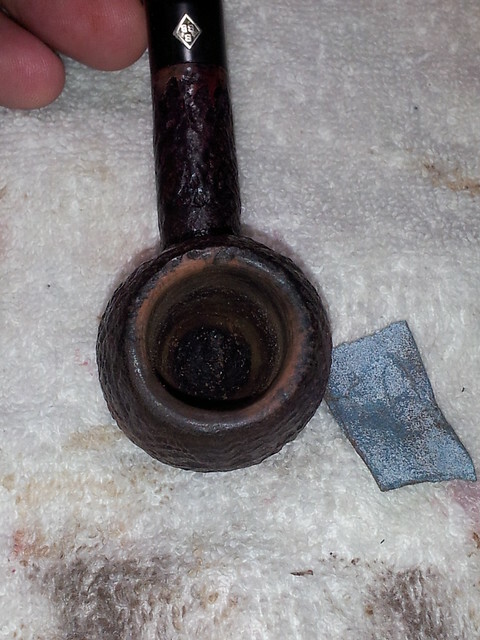 The pipe’s internals were cleaned with bristle and soft pipe cleaners and isopropyl alcohol. The shank was dirty, but that wasn’t surprising given the amount of cake reamed out of the bowl. Most of the light rim tars came off with the Murphy’s treatment. I cleaned up the remnants and tidied up a few light dents on the rim with a scrap of well-worn sandpaper. I was careful to sand only the inner edge of the rim so as not to damage the sandblast on the outer rim. 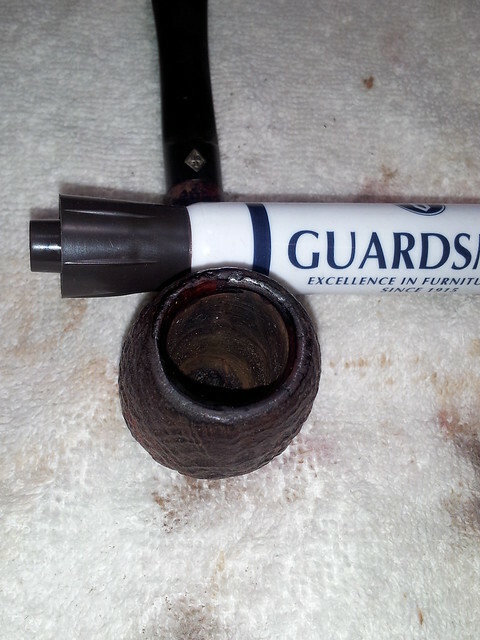 A dark stain pen matched the colour of the freshly sanded rim to the original finish. I also touched up a few worn spots on the end of the shank near the mortise. 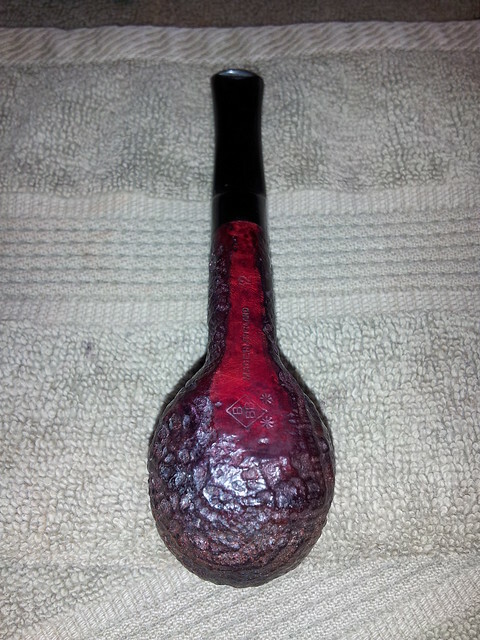 Then it was time to shine the pipe up with a buffing with White Diamond compound and a few coats of Carnauba wax. This little Apple is looking right as rain now. I’m looking forward to packing a first bowl in it. 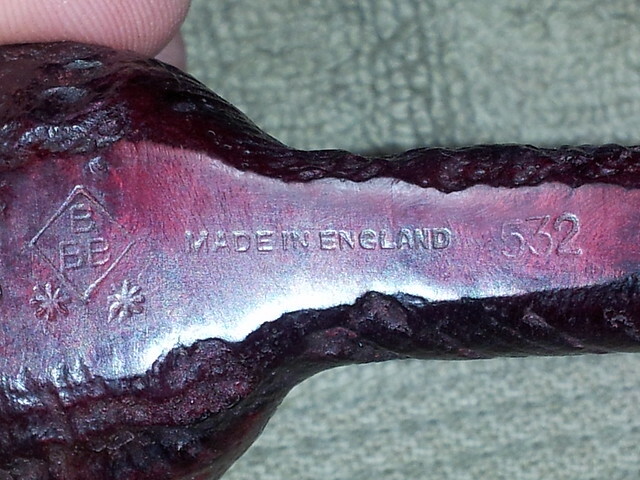 I anticipate a good smoking experience, especially if the previous owner’s obvious love for this pipe is any indication. A classic shape, nice work! Thanks Al. 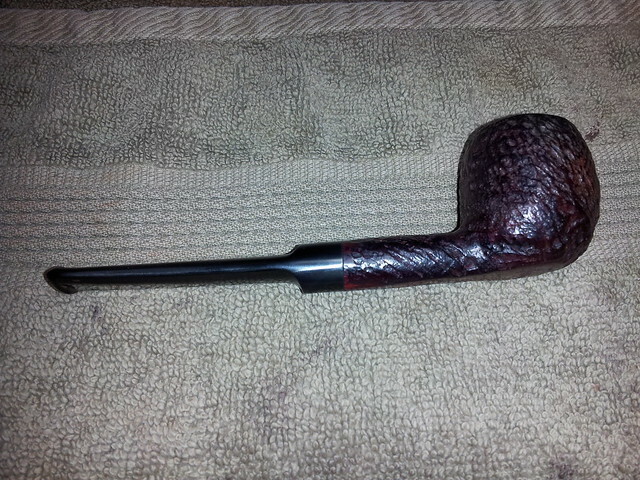 This pipe was a nice break in between more complicated refurbs.